Valentino Rossi dropped a bombshell during the pre-event press conference for this weekend’s Valencia MotoGP clash in Spain by confirming he will split with legendary crew chief Jerry Burgess for 2014. Burgess was informed of Rossi’s decision to replace him in a meeting this morning, ending their long and successful relationship together. 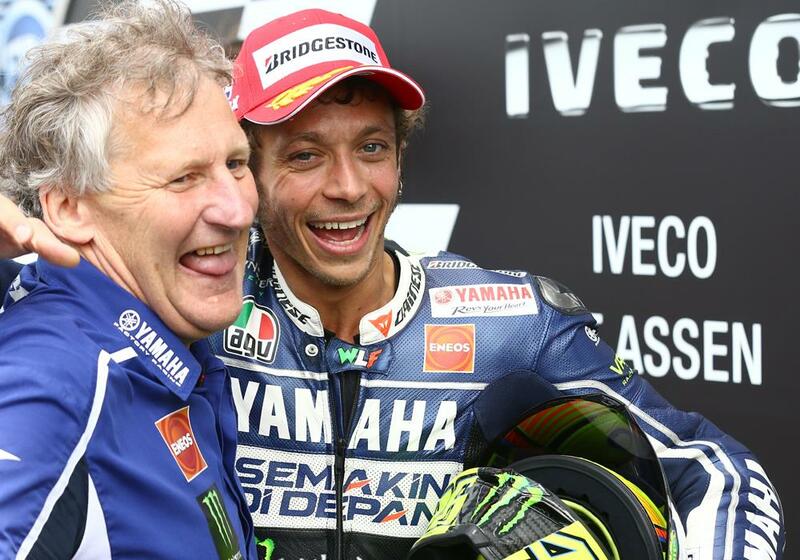 Burgess has worked with Rossi throughout his entire MotoGP career from when he joined Honda in 2000 and he was the technical mastermind behind the Italian’s seven premier class world titles and 80 wins. The story leaked in the Italian press yesterday (Wednesday) but MCN understands that Rossi communicated his decision to senior management in the days after the recent Japanese Grand Prix at the Twin Ring Motegi. After two disastrous years at Ducati, Burgess returned to Yamaha with Rossi for 2013, but the 34-year-old has struggled to match the blistering form of dominant Spanish trio Marc Marquez, Jorge Lorenzo and Dani Pedrosa. Rossi has won just once in Assen and been fourth in seven races. Rossi told a stunned press conference at the Ricardo Tormo circuit earlier: “It is not that I am not happy about the work of Jeremy but I think that next year he will not be my chief mechanic. "It was a very difficult decision for me because I have a great history with Jerry and he is not just my chief mechanic but part of the family and my father of racing. Burgess was under contract for 2014 and Yamaha fully expect the rest of the tight-knit crew, including Alex Briggs and Brent Stephens, to remain. Rossi hasn’t revealed the identity of his new crew chief but it is anticipated that Burgess, who also worked with Mick Doohan and Freddie Spencer, will now retire.